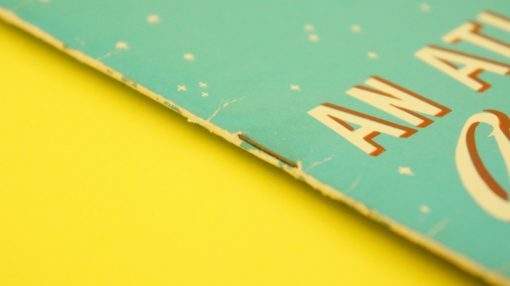 The condition of this paperback atlas is so good that I nearly passed it by, thinking that it was a modern reproduction that the likes of shops like Typo sell. 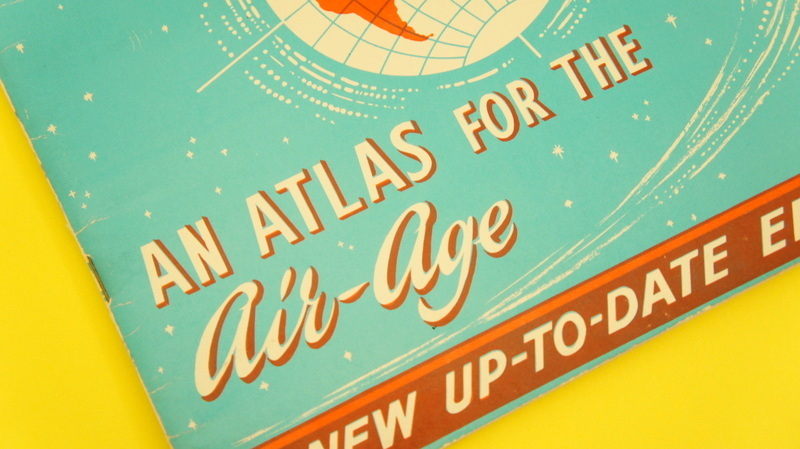 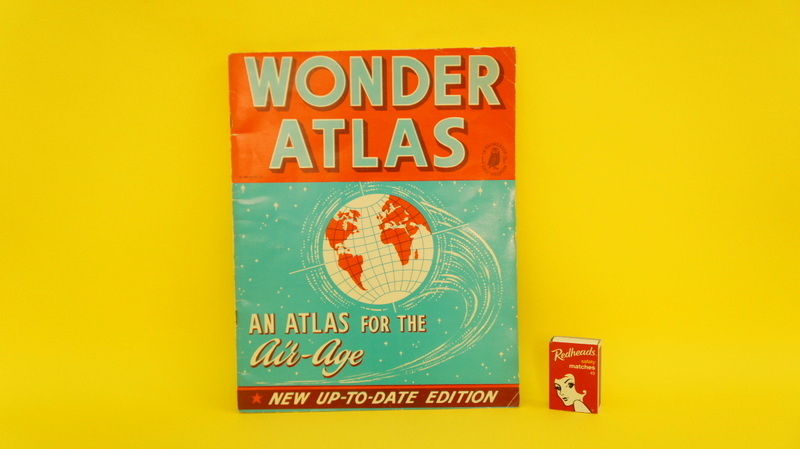 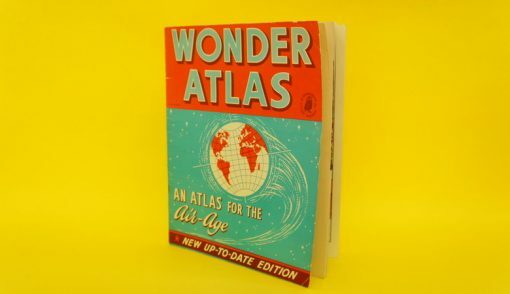 I must say, Typo do a really good knock off, because their products look just like this fabulous 1950s Atlas for the Air-Age – isn’t that the most fabulous title! 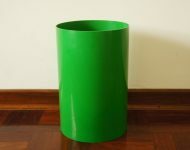 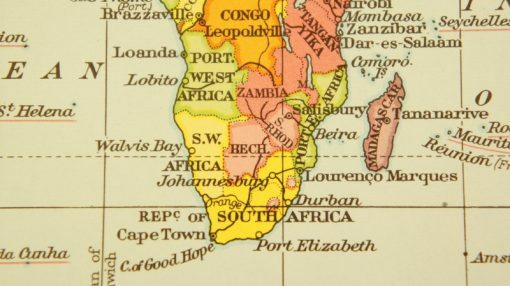 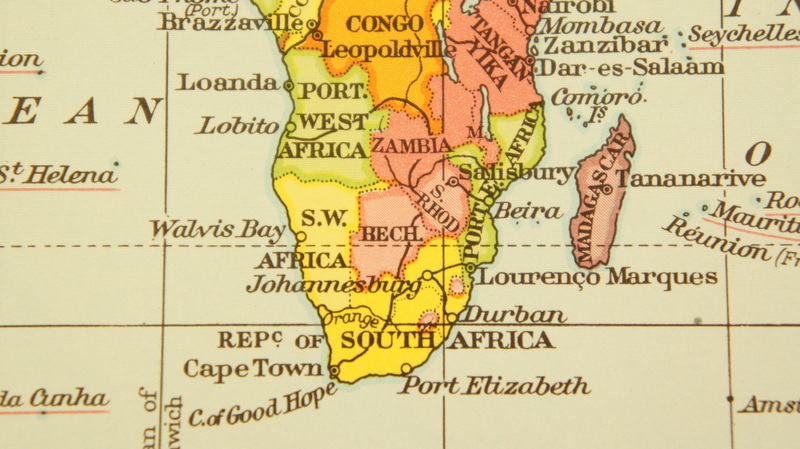 Looking inside though, it was quickly evident that this was the real deal – the population of South Africa is stated as 15 841 000 – in 1955 South Africa’s population was 15,385,000. 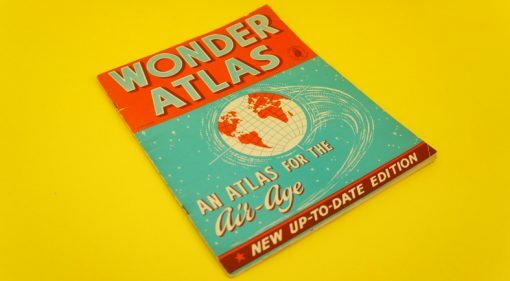 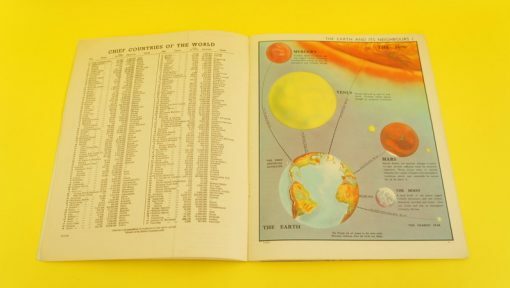 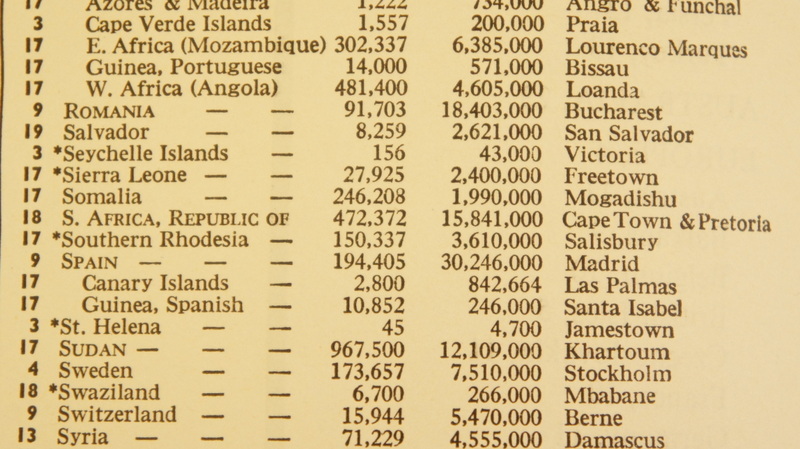 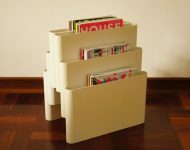 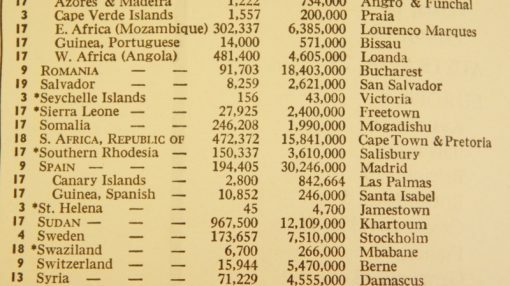 By 1960 it had already grown to 17,396,000, so presumably this atlas dates to sometime around 1956 or 1957. When you consider its age, and the fact that it’s a paperback, I think its condition is pretty remarkable! It’s also a really great read, with the most beautifully coloured maps, as well as a few great black and white photos. 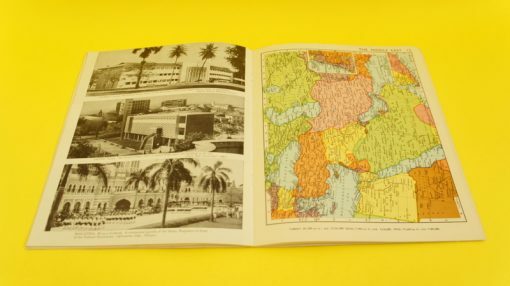 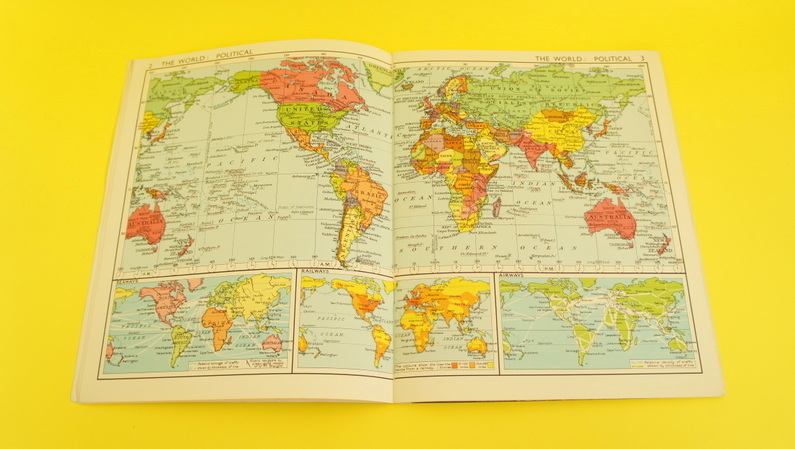 A fantastic buy for any map lovers out there – it would be a real shame to dismantle the book, but some of these maps would look great framed – just saying…..